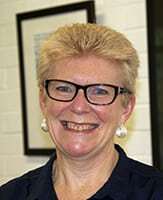 Professor Bowman (BSc(Hons), MPsyc(Clin), PhD) works in the School of Psychology at the University of Newcastle, where she specialises in health psychology. In a varied professional life, she has previously held non-academic positions such as the management of drug and alcohol services, and such roles have enhanced her understanding and skills with respect to marrying research with real-world service delivery and clinical care provision. Her main research interest lies in reducing the burden of chronic disease at a population level, and she has particular experience in developing and evaluating ‘practice change’ interventions within health service and other settings to increase the delivery of preventive care to underserved populations.